Using named day delivery: Order this product within 10 hrs and 8 mins for guaranteed Tuesday delivery. 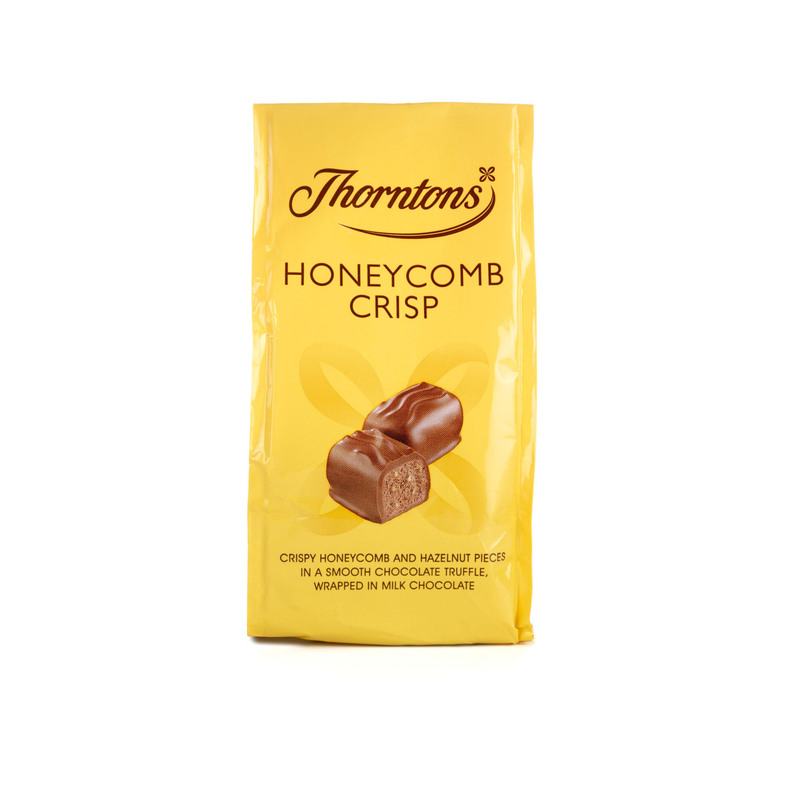 A new addition to the Favourite Flavours bags collection, the Thorntons Honeycomb Crisp chocolate is all set to surprise and delight. 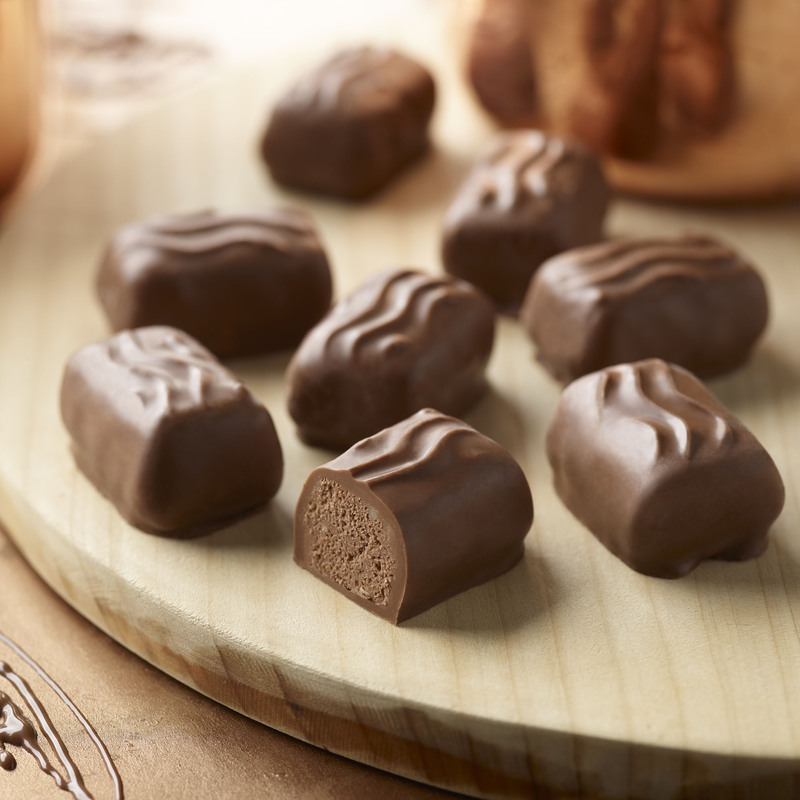 This tempting chocolate truffle is studded with crispy little honeycomb and hazelnut pieces, then wrapped in milk chocolate and rippled on top to decorate. 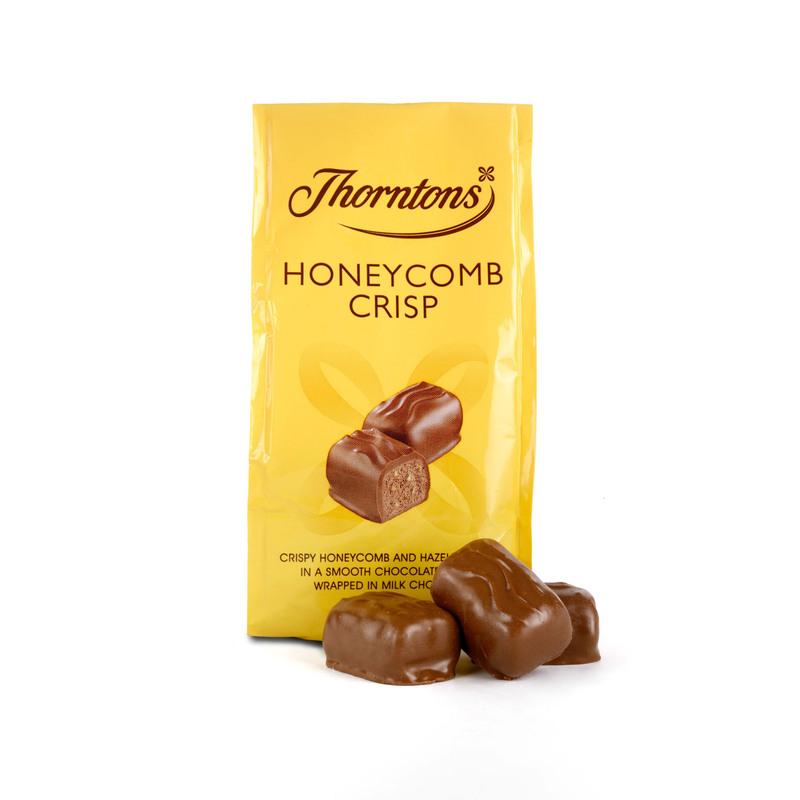 Nutty, sweet and smooth, it’s a delicious combination of flavours and textures in a perfectly treat-sized bag. Sugar, Coconut Oil, Lactose (Milk), Dried Whole Milk, Cocoa Butter, Cocoa Mass, Dried Skimmed Milk, Palm Kernel Oil, Fat Reduced Cocoa Powder, Croquant Pieces (2.5%) (Sugar, Hazelnuts), Honeycomb Pieces (2%) (Sugar, Glucose Syrup, Raising Agent (Sodium Bicarbonate)), Milk Fat, Emulsifier (Soya Lecithin), Flavourings.